Can a game of table tennis improve your memory? The most popular racquet sport in the world (apparently) is increasingly being used in sports therapy sessions for Alzheimer’s patients. Not-for-profit organisation 4get-me-not Alzheimer’s is holding the biggest event of its kind to promote the links between exercise and brain power. 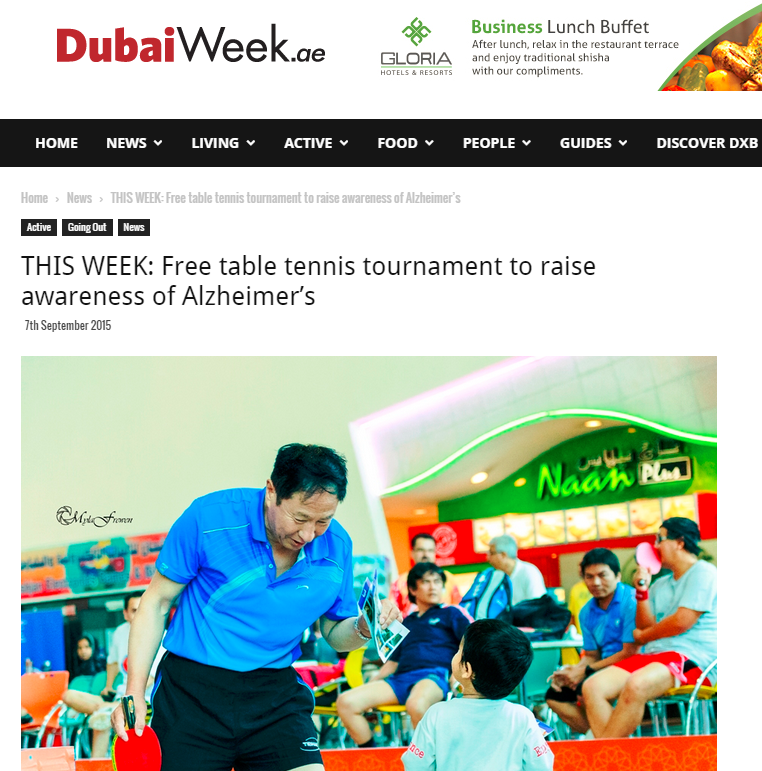 Players of all ages – especially the young at heart – are invited to take part in the tournament at Dubai Festival City Mall on 11th and 12th September to help raise awareness of the condition. 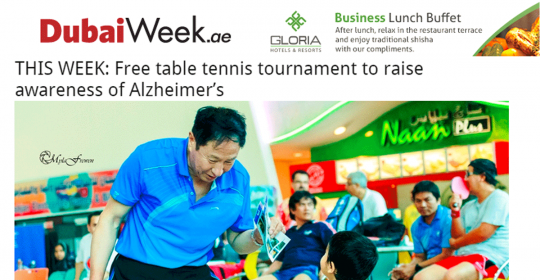 The two-day event, in conjunction with the German Neuroscience Center, aims to highlight the link between table tennis and brain health in the run up to Word Alzheimer’s Day on 21st September. Expat Desiree Vlekken founded 4get-me-not Alzheimer’s after her father was diagnosed with the devastating condition. She expects to welcome more than 400 players and spectators to the event, from beginners to professional table tennis players. They will have the chance to win prizes and take part in on-site memory tests based on the Mini-Mental State Examination, which is used to screen for dementia. Alzheimer’s disease is most commonly associated with elderly people however, five per cent of people with the disease suffer from early onset Alzheimer’s, which can affect patients in their 40s and 50s. 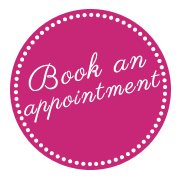 Alzheimer’s is the most common form of dementia and a neurological disorder, which causes deterioration of memory, loss of concentration and diminished judgement. Whilst there is still no known cure, research has revealed that boosting circulation through exercise may help to slow cognitive decline, as well as reduce the risk of Alzheimer’s.